While Jericho was called the City of Tree-Dates in the Torah (Bible), French immigrants Doron Alush arrived in Israel to a desert landscape, fruitless for centuries. Doron studied bio-technology and made aliya at the age of 21. In 1999, he moved to Mevo’ot Jericho where he and his wife are raising their large family, They slowly learned how to grow dates. People travel to see their date trees, and attend their workshops, learning how they produce silan (date honey, also called date syrup). 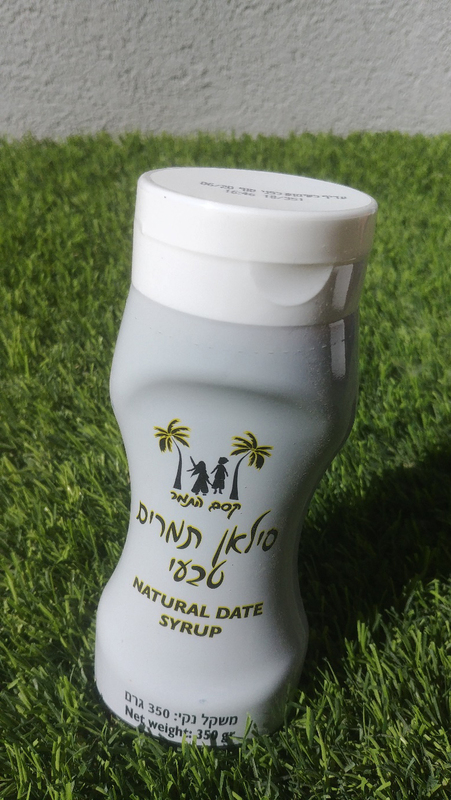 They sell dates and silan, and Doron’s most recent project is making date beer! Doron feels that it is a great privilege to live here and work the Land of Israel. The average medjool date can measure in surrounding areas grow up to five centimeters and can weigh up to 35 grams, but Doron has found record-breaking dates growing on his trees, as large as seven centimeters and weighing 52 grams! “Is this a special agricultural trick?” we asked Doron. As we enter this large space inside one of the buildings in the in the capital city of Gush Etzion, we smell the delicious aromas of fresh pastries, cinnamon, cocoa and chocolate. This is the new home of “Rachel’s Cookies”, a family business. Rachel and Uri got married in 1998, and became business partners in 2007, soon after Uri was diagnosed with Crohn’s disease. “The fridge, the oven, the worktop – you could reach everything without needing to move, which was quite energy-saving,” Rachel laughs. Rachel would do the baking during the night, and Uri used to get up at 6 am to go over the cafes and stores nearby with a large bucket of cookies, pleading the owners to try the product. Both Rachel and Uri worked full-time at their primary jobs at that time; Rachel as office manager, and Uri as wine distributor, while also raising a child. 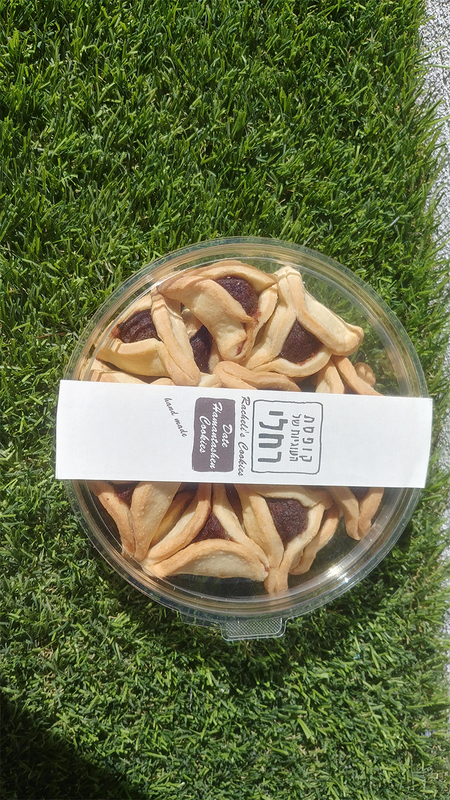 Over the course of the following ten years, they had two more children, Rachel took a course in pastry arts in the Hadassah academic college in Jerusalem, Uri quit his job and became the CEO of their new business, and the family moved from Jerusalem to the community of Har Gilo. Then, finally, in February 2017 they rented a brand-new large space for the bakery in the industrial zone in Efrat. Uri says now that they can produce more in the new space, they will begin to sell more, because demand is higher than supply. As David continues to speak, Rachel shows me a video clip featuring an Israeli minister buying her cookies in a store in Jerusalem. The president’s house, they say, orders the cookies, too. When we founded the company in 2002, we were told that starting a business is like bungee jumping every day, but the dream and the desire to bring people our high quality granola brought us to success. A combination of a recipe that has been in the family for generations, a traditional production process and technology along with the finest raw materials, nuts, almonds and crackling seeds, various dried fruits and a rich and warm color. 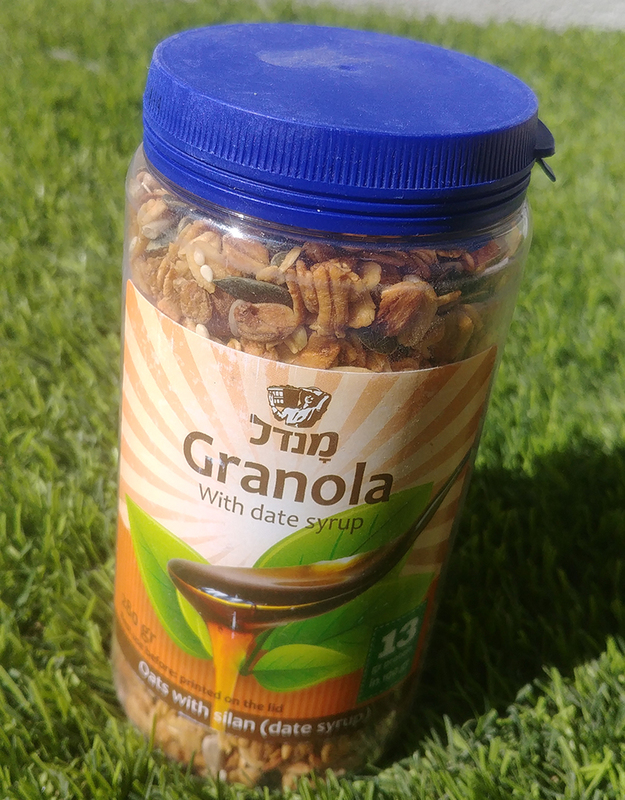 We are proud of our granola, proud to be part of the industry in Israel and promise to continue to bring you quality, taste and love. ShalvaTea offers a range of locally grown and packaged herbal teas, filled with the flora in the Torah, naturally caffeine-free and made with premium organic herbs. Packing the products are adults with special needs. They receive vocational training and earning power. David lives in Jerusalem and sources his herbs from Yehudah and the Shomron. “I made aliyah because I support the land of Israel,” Ross said. “The land has always been a powerful component in my life.” He said he doesn’t shy away from using the land of Israel as a part of his marketing strategy. 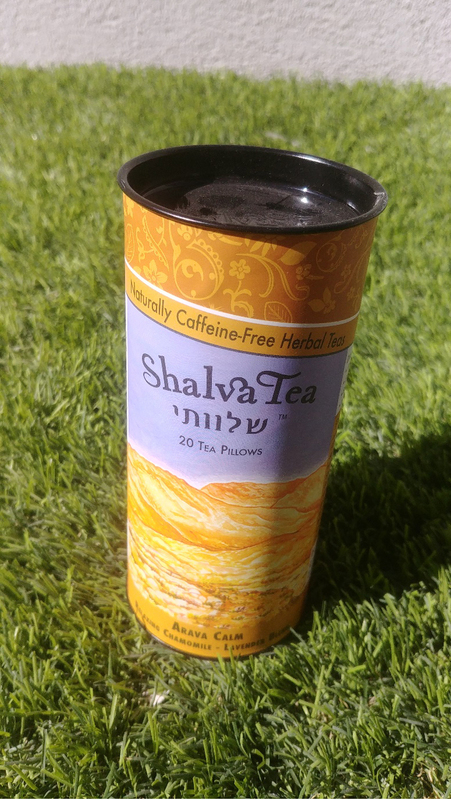 ShalvaTea is sold in cafes and restaurants across Israel, and in the USA at Pomegranate Supermarket and other fine kosher supermarkets in Midwood, Crown Heights, and Five Towns. Karina Chiplinsky literally has chocolate flowing in her blood; she is a third generation chocolatier. She studied chemistry and chemical nutrition, and immigrated from Argentina with husband Giora. 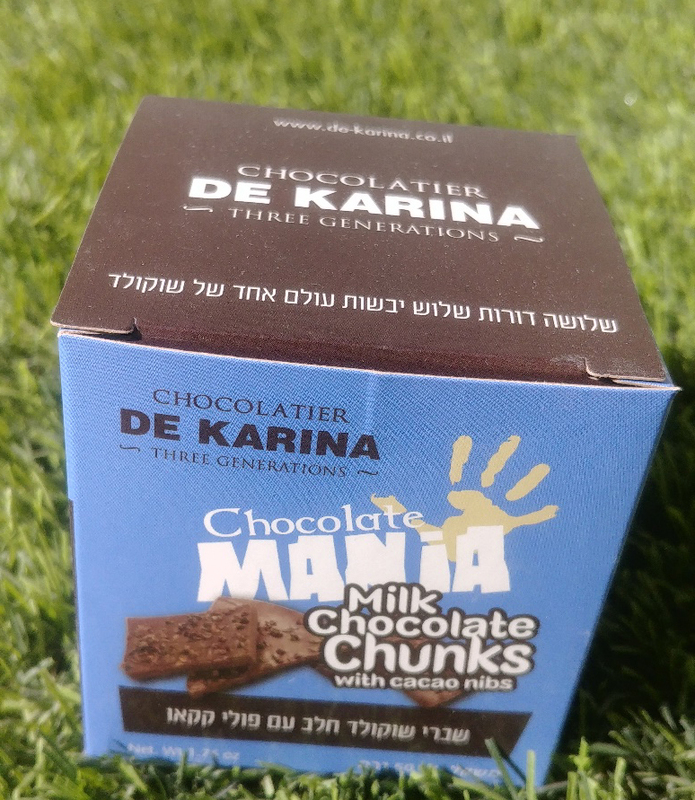 They created De Karina Boutique Chocolate (De Karina means “Of Karina”) and seen it grow as demand for Israeli products grew after the Lebanon war. De Karina was selected for one of twelve posters celebrating Israel’s 70th anniversary. The chocolates are handmade, and their chocolate making and taste workshops considered unmissable. Their factory and visitors center are situated on Kibbutz Ein Zivan in the Golan Heights. Winemaker Yoram Cohen speaks passionately about the land and his wines, which are now available in the USA. In 2002 Yoram started to make wine out of his house. In 2007 one of Chaim Feder’s friends tasted Yoram’s wines and was sure that Yoram was the next big thing in wine. Chaim and his partners met Yoram and the rest is history. They upgraded the winery’s future productivity by purchasing new equipment, plantings new vineyards, and leasing more space for the winery. The winery’s current production is about 40,000 bottles annually. The Winery observes Shemittah, the Sabbatical year when the Torah instructs us to let the land rest. That means that in 2008 and again seven years later, they produced no wine. It takes a certain spirit and belief system to not make wine for a year! Tanya Winery takes its name from Yoram’s daughter. Their three labels; Enosh, Halel, and Eliya Reserve, are all named after Yoram’s children, (who appear on the website (though at a younger age); Halel is the main wine line, while Eliya is the lower label that has recently been upgraded. Tanya Winery is not one of those wineries that buys their grapes from the Galilee all the way down to the Judean Hills. The vineyards and winery lie in the heart of the Judean Hills, in and around a city called Ofra. The Winery’s vineyards are planted in the central area of the gentle slope of a mountain proximate to Ofra in chalky rocky ground at an elevation of 900 meters above sea level. The winery has eight acres of vineyards that grow Pinot Noir, Cabernet Sauvignon, Merlot, Shiraz, Cabernet Franc, and Chardonnay.